“Patcham is very welcoming and the staff excellent. My mother receives first-class care and is treated with dignity and respect. She has been resident since April 2013, sadly her condition has deteriorated, however she is always kept comfortable and clean. The home is kept spotless by the cleaning staff, is well-maintained and the kitchen staff and standard of food/service is terrific. Activities too, are well organised and relevant, often themed to the time of year or towards a special anniversary/event. Management are always on hand should any problem or difficulty arise and any concerns are dealt with promptly and respectfully. 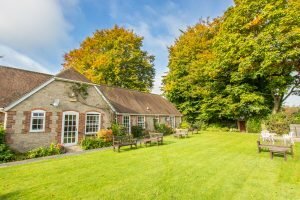 Nestled in the idyllic Cotswold town of Deddington, Featherton House is a lovely Georgian building dating back to 1830. Located on the edge of the South Downs in Sussex, this sensitive barn conversion enjoys stunning views over landscaped gardens and the surrounding countryside. Located in Kent , Westerham Place combines the grandeur of a Victorian country house with a relaxed, warm and welcoming atmosphere. Beautifully located between the historic cities of Bath and Salisbury, Wren House Retirement Home combines gracious Georgian surroundings with the highest standards of personal care and a reputation for being exceptionally warm and welcoming at all times. Located near to the rolling chalk downs of Epsom, Linden House, is an impressive Victorian House that has been carefully converted to a first-class 32 bed retirement home.